Greetings everyone. 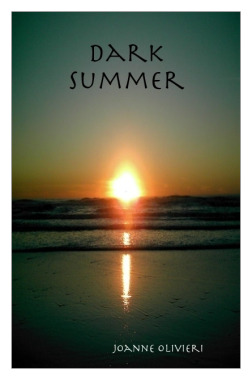 I am excited to announce the release of my new eBook titled "Dark Summer." This book was not something that I had planned but rather decided on a whim to publish with some of my newest poetry. I have already published two other chapbooks and decided it was time for an eBook so I went with Lulu.com on this project. With Lulu.com you can also create softcover books, hardcover books and much more. It is the "starving artist" means of publishing. Since I am literally a starving artist these days this seemed to be the way to go. So, if you choose, take a look and order. The price for the download is set at $2.50 - such a deal! Congrats on the book. I hope it sells well. Congratulation on the book, Jo! The cover is stunning! I've downloaded it...glanced at the first poem - as always, your work is incredible. Icy, Thanks, That's a photo of ocean beach out here in my neighborhood. I did The Demo Tapes with Lulu and have been quite pleased with it. congratulations Jo, I downloaded it as I really love your collection and would want to have a ready copy. Thanks for sharing them to us. betchai, thank you so much for your kind words and buying a copy. Very much appreciated my friend. Michelle, I took that photo of a sunset on the beach out here and it fit what I wanted perfectly. Thanks for stopping by and commenting. Sawie, Thanks so much Sharon.